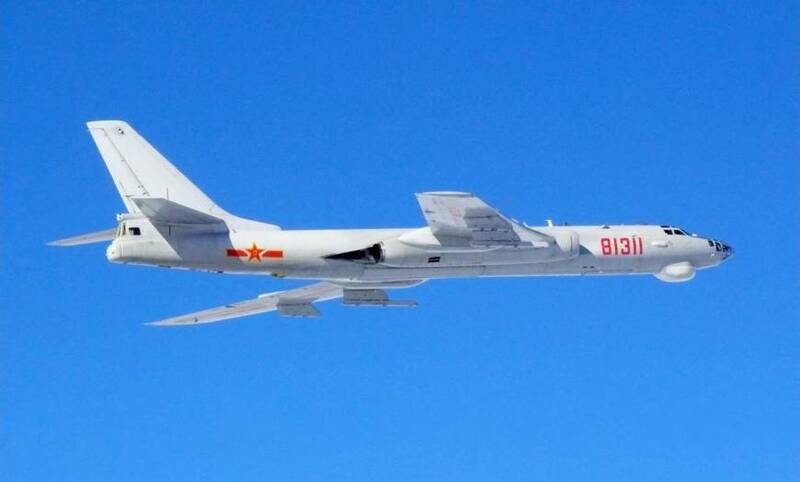 China on Sunday again sent bombers and intelligence-gathering aircraft through international airspace between the islands of Okinawa and Miyako in the East China Sea, part of what Beijing has called continued “regular” exercises in the area. Japan scrambled fighters in response, though no violation of Japanese airspace was detected. Four H-6 bombers and two intelligence-gathering aircraft flew a route that took them through the Miyako Strait and back. The flight was believed to be the first through the passageway since August, when six Chinese bombers flew near Kansai’s Kii Peninsula for the first time. China, under powerful President Xi Jinping, has embarked on a large-scale campaign of modernizing its military — especially its air force and navy — as it seeks to project power farther from its shores. Beijing is embroiled in a dispute in the East China Sea with Tokyo over the Japanese-administered Senkaku Islands, known as the Diaoyus in China. However, the Defense Ministry in Tokyo said last month it had scrambled fighter jets through September — the first half of fiscal 2017 — a total of 287 times, down 120 times from the same time period in the previous year. Despite the fall, the ministry documented an uptick in “unusual” flights, including the August drill in skies off the Kii Peninsula. Last year, the Air Self-Defense Force scrambled fighters 1,168 times, the most since records began being kept in 1958, besting the previous high of 944 — a figure that came at the height of the Cold War in 1984. 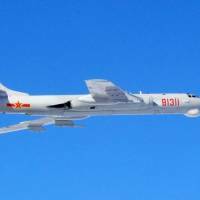 China’s military has also sent aircraft, including bombers and fighters, on long-range missions over the Bashi Channel and the Miyako Strait as well as through the Tsushima Strait from the East China Sea into the Sea of Japan and back. In July, the Chinese military sent ships and planes through international but politically sensitive waters and airspace near Japan as part of its continuing push to hone its ability to operate further from its shores.